Food allergies can cause misery for your kitty. They can result in very itchy and inflamed skin and an upset digestion. If you suspect that your cat has a food allergy, you must consult your vet. They will be able to rule out other causes of the symptoms and work with you to establish which food is causing the problem. This, however, is not an easy process. 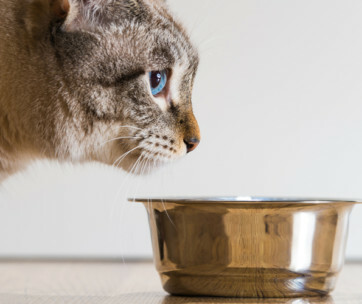 Hypoallergenic diets and limited ingredient diets can play an important role in the diagnosis and treatment of food allergies in cats. You need to know the difference between them and you need to know which is best for your kitty. Your vet is always the best source of advice. Here is a guide to get you quickly up to speed. Having found out about the best hypoallergenic cat food, you can play your part in managing your cat’s condition successfully. Because the recipe for this cat food is based on the diet of the Lynx, it is as close to the natural diet of a wild cat that it’s possible to get. It contains a minimum of 40 per cent protein so your cat can build strong muscles and has 18 per cent fat to give them plenty of energy. The carbohydrate content is provided by peas, potatoes and sweet potatoes and not by those ingredients that commonly trigger allergies in cats. Therefore, you won’t find any corn or wheat in this recipe. It is also free from soy which is another common allergen. You can be confident that there are no chicken or poultry by-product meals because all the protein is provided by deboned chicken, chicken meal and fish meal. There are no artificial flavors or preservatives. This food is very precisely balanced to help cats that have sensitive digestive systems and those that need help to improve their skin and coat health. This makes it perfect for cats will allergies. For the skin and coat there are omega 6 fatty acids and vitamins and to help the immune system there are Vitamins C and E to provide antioxidants. The ingredients are all easy to digest and based on rice and egg so it won’t upset a delicate digestion. It contains absolutely no artificial colors, flavors or preservatives that could trigger allergic reactions. A perfect food for cats with allergies as it contains only a limited number of ingredients. The high (30 per cent) protein content is provided by salmon so there is no meat content at all. It is also free from grains yet it provides complete nutrition for cats of all breeds. You can use this food for cats that need to follow a limited-ingredient diet. The carbohydrate content is provided by peas which are highly digestible and suitable to sensitive digestions. The canola oil and flaxseed provide omega fatty acids which are great for skin health. This product scores highly for digestibility in The Association of American Feed Control Officials tests. It is made using real, whole fish (or meat) and does not contain any meat or fish meal of any kind. Therefore, you can be absolutely confident of what your kitty is eating. What’s more, the fish is sustainably sourced and wild caught. The animals used in this food have not been factory farmed and have not been raised using antibiotics or growth hormones. The fruit and vegetables in the formulation, which includes peas, blueberries, cranberries, carrots and sweet potatoes are all from non-genetically modified crops. 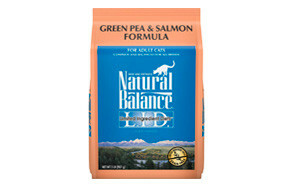 This natural cat food has no artificial flavors, colors or preservatives. 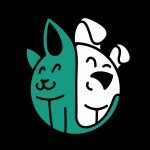 A wet cat food inspired by the raw diet of wild cats. A full 95 per cent of the content is made up of salmon and pork liver and the remainder is made up of vegetables, fruit and other nutritious ingredients. This is a high protein cat food that will build strong muscle. It comes as a tasty paste that even fussy eaters will love. The gluten-free food is free from ingredients that could trigger food sensitivities including corn and wheat grains, potato, soy, carrageenan, by-product meat and fish meals. There are also no artificial colors or preservatives. The recipe of this best dry cat food for allergies is based on a single animal protein so it is suitable for cats that are on a limited-ingredient diet. 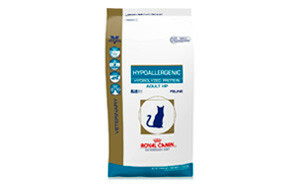 This formulation has been designed for adult cats that have an indoor lifestyle. To help with digestive issues, the protein is of high quality and only natural sources of fiber are included. The primary ingredients are deboned whitefish and Menhaden fish meal which also provide plenty of omega 3 fatty acids. There is absolutely no chicken or poultry. The complex carbohydrate content, provided by peas and pumpkin, are easy to digest. There are no corn, wheat or soy that could trigger allergies and no artificial flavors or preservatives. 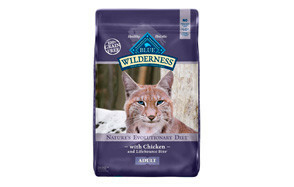 A protein-rich wet cat food that has cod, chicken and chicken liver as the primary ingredients. There are also plenty of other superfood ingredients such as flaxseed and fish oils which provide omega oils and promote a soft coat and healthy skin. There’s also spinach, cranberries, apples and carrots to provide a balanced and complete diet. This is suitable for cats that need a hypoallergenic cat food as it contains no carrageenan and is completely grain-free so you’ll find no corn, wheat or soy in this recipe. It is gentle on your cat’s sensitive digestion as it contains no meat by-product meals at all. It also has no artificial preservatives or flavors and has no fillers. A specific hypoallergenic cat food made with hydrolyzed soy protein that is light-weight and is low-reactive so it avoids triggering allergic reactions in cats. This type of soy protein has a very low antigenic potential There is no meat or fish protein so it is suitable for animals that are allergic to these elements. It also contains a single and simple source of carbohydrates, rice starch, which is very easy to digest. Cats with severe allergies need very specific diets because they have skin and digestive reactions. This food contains elements to help with that. There are B vitamins and aminos which are vital for maintaining the skin barrier. There are also omega 3 fatty acids to help heal your cat’s damaged digestion. The nutrients are carefully blended to control the movement of food through the intestines. The recipe of this cat food is very simple so it is suitable for cats on limited-ingredient diets. It contains protein from a single animal source which is duck. To further protect a sensitive digestion, the carbohydrate content is provided by easy to digest sources which are peas and potatoes. The recipe contains no gluten-containing grains which can trigger allergies. It does not use any wheat as a thickening agent. There is also no chicken or poultry by-product of any kind and it contains no corn or soy. You will not find any artificial flavors, color or preservatives in this cat food. This allergy free cat food is suitable for cats that have special dietary needs. The protein in this formulation is provided by hydrolyzed soy protein which has a low molecular weight which reduces the likelihood of an allergic reaction. The chicken liver content is also hydrolyzed. The carbohydrate content is low allergen and highly digestible making the food suitable for elimination trials. Despite the limited ingredients, the food provides balanced and complete nutrition that keeps your cat healthy. There are many foods that claim to be hypoallergenic or that claim that they can be used in a limited-ingredient diet. Some are suitable for use as part of an elimination diet and will help you to work out what your cat is allergic to. Others are suitable for cats that have a diagnosed food allergy. It is important that you get advice from your vet about which food will suit your cat best based on their particular allergy, their breed and their age. Some diets are only suitable for indoor cats and others suit cats that go outdoors. Here are some of the things that you may want to look out for in the best cat food for cats with allergies. Proteins are the main substance that triggers an allergic reaction but cats need protein in their diet so you cannot eliminate it altogether. However, in truly hypoallergenic cat food brands, the proteins have been broken down into such tiny pieces that the cat’s immune system doesn’t realize that they are proteins and doesn’t react! You will see this written on the package as ‘hydrolyzed’ protein or as protein that has a ‘low molecular weight’. The idea behind hydrolyzed protein cat food is that the allergen has been completely removed so your cat will feel better. It is then up to you to work with your vet to introduce other foods one at a time to work out what they were allergic to. Other cat foods are described as ‘limited ingredient’. This means that the protein and carbohydrate content are provided by one or two foods. Protein-rich foods are a common culprit in food allergies and studies have shown that beef, dairy products and fish are very common triggers. Therefore, this type of diet often uses one source of protein which is often chicken or duck. The source of carbohydrate is also limited because some carbohydrates can trigger allergies. Commonly, sweet potato and peas are chosen as they provide plenty of energy and are easy to digest. When it comes to cats with allergies, you should be as interested in what the food does NOT contain as in what it does contain. Grains can be a particular issue and are not necessary in a cat’s diet. The gluten content of wheat and corn can trigger allergic reactions so look out for ‘no corn, wheat or soy’ on the label of the best cat food for food allergies. Foods that are free from artificial additives are also best as these are not necessary and can cause problems. Finally, any form of meat by-product meal is best avoided as you cannot be sure what is in it. The best cat food for allergies also offers balanced nutrition for your cat. Some added micro-nutrients can be very useful. Any vitamin that boosts the immune system will help. The best cat food for skin allergies also contains omega oils which help to soothe inflamed skin and stop cats from scratching so much. Natural fiber can also help a damaged digestive system to recover. Cat food allergies can be triggered by many different ingredients. Your vet can help you to work out what is causing the problem. Here are some of the most common culprits. These are very common ingredients in cat food as they provide the protein content. It is possible for you to avoid them by choosing a food that uses a single source of animal protein that is something like deboned chicken or duck. Cat food made with hydrolyzed soy protein contains no meat protein at all and is therefore also suitable for cats with this allergy. These are the parts of an animal carcass that humans do not want to eat so it includes things like skin and hoof. They are cheaper than muscle meat and therefore attractive to some pet food manufacturers. However, they are not as nutritionally valuable and can trigger allergies. This is another cheap ingredient that can cause problems. It is commonly used as a filler because it bulks out the food and is cheap but many cats are allergic to cornmeal, corn gluten meal or to all forms of corn. Typically, the allergic reaction will be itchy and dry skin. Some experts also suspect that fillers such as corn can trigger diabetes in cats. Wheat is another cheap carbohydrate that is used as a filler in pet foods but wheat gluten is a common allergen. Many cat foods are now gluten free so it is quite easy to avoid if you read the labels carefully. Eggs are a high protein food that are an alternative to meat protein. They are a popular ingredient in some wet cat food. However, some cats are allergic to them. This is a plant-based protein that would not form part of a wild cat’s natural diet because they prefer meat! Some cats are allergic to it so many foods are now free from soy. However, for cats that are allergic to meat proteins, foods based on hydrolyzed soy protein are a safe alternative. Artificial colors, flavors and preservatives are added to some cat foods and they can trigger allergic reactions. There is no need for color to be added at all because cats do not care about the color of their food! Natural flavors and preservatives are always preferable. Cat food allergies can present themselves in many different ways. Many of the symptoms of an allergic reaction can be caused by other things. Therefore, you should never try to make the diagnosis yourself and should always consult your vet. Here are some of the common symptoms that you may notice. This could be sneezing, coughing or wheezing. Your cat may snore loudly because they have an inflamed throat. The skin appears irritated and dry. Your cat will scratch excessively and could wear away their coat in areas to form bald patches. The ears could be especially irritated and your cat may get repeated skin infections. They may also chew on their paws and make them very sore. The eyes will appear itchy and watery. This presents itself as vomiting and/or diarrhea. Q: What are food allergies in cats? A: A cat’s immune system is designed to protect them from invaders such as bacteria and viruses. When these pathogens enter the body, it reacts to protect itself. Sometimes, the body also reacts to substances (usually proteins) that are not harmful and this is an allergy. The reaction can be anything from sneezing to a skin rash. The substance that causes the allergy is caused an allergen. There are many potential allergens in cat food and the allergy can develop at any age. 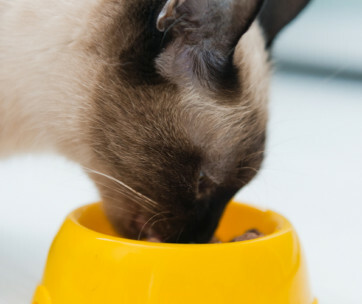 Your cat can eat a food for years and then become allergic to it. Don’t forget that cats can be allergic to lots of other things besides food. Some cats are allergic to flea bites, perfumes, scents in cat litter and plastic materials. These could all be to blame for your cat’s symptoms. Q: How can I determine the allergy of my cat? A: You need to work with your vet to determine the exact cause of your cat’s allergy. It is not easy to make a diagnosis because there are no allergy-specific tests that can be used. The symptoms are not specific and could be caused by other things. The allergy triggers can be inconsistent. Your vet may try some intradermal skin tests but blood allergy tests are not so reliable. They may also recommend an elimination diet. This involves feeding your cat a special diet that contains only hydrolyzed protein and so it will not trigger an allergic reaction. They eat only this for 12 weeks and cannot even ingest flavored medications or treats at this time. Once the symptoms have resolved, you can start to re-introduce foods one at a time and observe which of them causes an allergic reaction. Q: How should I treat food allergies in my cat? A: The best approach is to prevent exposure to the offending allergen. 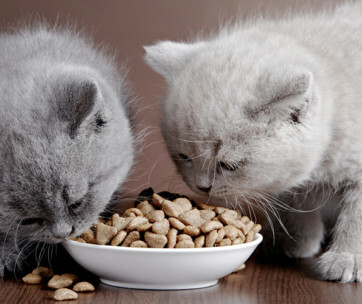 With food allergies, this means that you have to choose your cat’s diet carefully. Once you have found a food that does not contain the allergen, you need to stick to it. Remember that treats can trigger allergies too. Also, new allergies can develop over time so be on the lookout for new allergic reactions. You may need to change your cat’s diet again to accommodate these. You may want to choose a food that has fatty acids or give supplements to help your cat if they have itchy skin. Whilst their skin is inflamed, it is vulnerable to infection and there are shampoos that can help to prevent this. Oatmeal and aloe sprays can also help. Q: What are the consequences of an allergic reaction to the cats? A: Allergic reactions can make your cat’s life a misery. It is no fun having chronic diarrhea or constantly itchy skin. The on-going allergic reaction can cause other health problems. Skin that is constantly inflamed and itchy is prone to getting infected. Also, you can be mistaken into blaming the allergy for symptoms that are actually caused by another disease. This can be risky and could result in serious diseases being missed. It is always best to work with your vet to get to the bottom of what is causing the problem. Based on the diet of the Lynx, this formulation is protein-rich and contains 18 per cent fat to build strong muscle and provide plenty of energy. The carbohydrate content is designed to avoid allergic reactions, so there is no corn, wheat or soy in the recipe. There are also no chicken or poultry by-product meals because the protein is provided by deboned chicken, chicken-meal and fish-meal. There are no artificial flavors or preservatives.